1. Japanese word for Meat. 4. Kanji on Kinnikuman's forehead. 5. Abbreviated term for Kinnikuman. 1. Japanese term for Raw Meat. 2. Slang for anything new/fresh/raw relating to the Kinnikuman universe. 1. Wrestling champ made up entirely of freshly ground Choujin meat. 2. 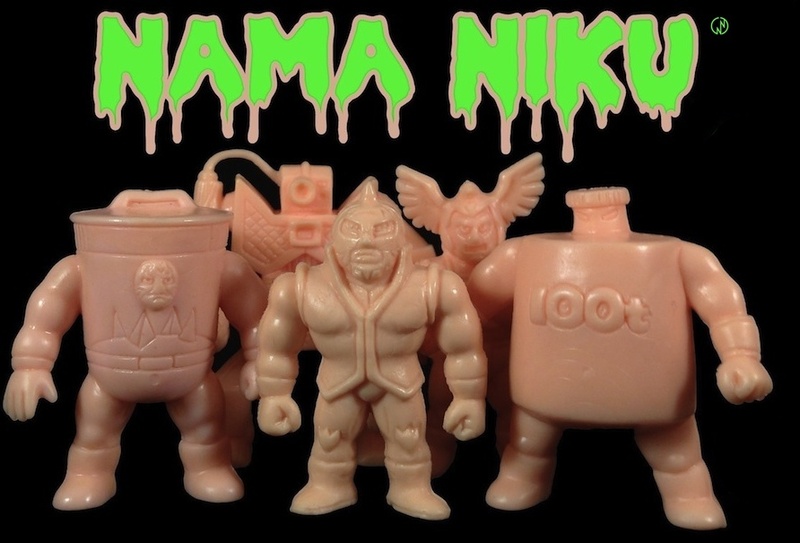 Official mascot of Nama Niku. Kinnikuman Manga: There's an app for that!